You need the right tools i.e., software development kits and platforms to build robust, user-friendly apps. You wouldnât tear apart a planeâs engine with nothing but a pair of pliers and a prayer - itâs more likely that you would go out and buy a ratchet set and diagnostic equipment. The same line of thinking applies to mobile development as well. Hereâs a list of tools that will help you create powerful apps and stay competitive in the mobile development space. 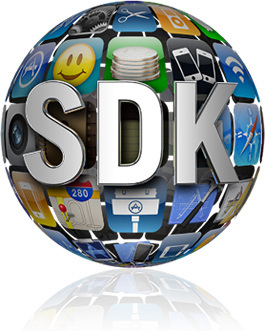 iOS official SDK: Formerly known as the iPhone SDK, the iOS official SDK is broken down into four development sets: Cocoa Touch, Media, Core Services, and Mac OS X Kernel. Cocoa Touch includes all elements related to touchscreen support; this includes multi-touch controls and configuration, as well as certain localization and camera support features. The Media development set includes all components related to video, audio, photos, and multimedia functions. Core Services includes things like networking. Mac OS X Kernel includes essential functions relating to file systems, power management, and security. -· Android SDK: The official Android software development kit is very much reliable kit issued by Google in order to provide developers with a set of tools which are unique and comprehensive with a wide range of resources, including emulators, development tutorials, libraries, sample code, and detailed documentation. -· Windows Phone 8 SDK: The Windows 8 SDK comes with a copy of Visual Studio Express 2012. It is a very powerful operating system that is likely to only become more integrated and common place as Windows 8 is for tablets and desktops. It is actually waiting to be more conventional, though the Windows Phone platform is still struggling to take off from a sales standpoint. This SDK includes several emulators and testing tools and plenty of drag-and-drop controls and code chunks, but also has Microsoftâs typical level of deep coding support. -· Snapdragon Android SDK: This SDK includes a number of tools for improving application development on Snapdragon-powered devices. Among other things, the tools included will help manufacturers and app developers add facial processing, surround sound, low-power geofencing, and more sensor gestures to their interfaces. 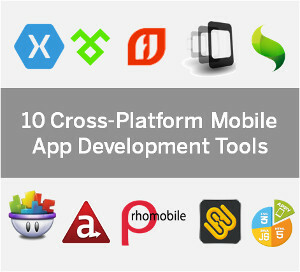 -· RhoMobile: RhoMobile is based on Rhodes, an open source cross-platform Rails-based mobile development framework. It really is a one-stop-shop for serious mobile development. We can build many robust applications that can be maneuvered with RhoMobile, on just about every major mobile operating system: iOS, Android, Windows Mobile, and BlackBerry. It is actually quick and painless to build applications with it on different platforms and RhoMobile also offers a cloud-hosted mobile development environment called RhoHub and a standalone mobile development server called RhoSync. Their platform allows you to write your code once and deploy the app over multiple operating systems using their sophisticated mobile development platform.